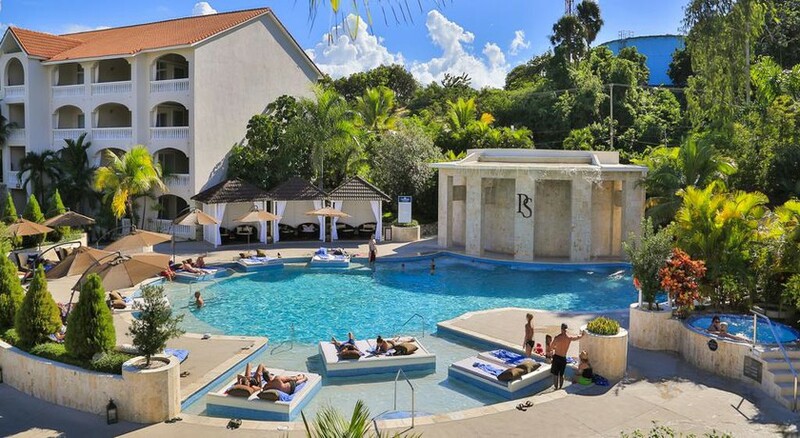 The Presidential Suites Puerto Plata by Lifestyle is an All Inclusive resort located in Cofresí, 24km from Sosúa on the northern Dominican Republic coast and invites guests with plush accommodation and warm hospitality. Nestled at a strategic, scenic location, the hotel has year-round outdoor pool and children's playground and guests can enjoy a meal at the splendid restaurants. 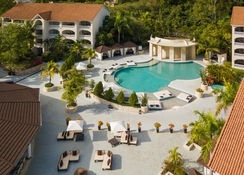 They have ample sporting and leisure opportunities such as tennis, snorkelling, biking, golfing and much more. The hotel also offers value-added services like babysitting services and a hair-dressing salon to its guests. Cofesi is a secluded golden sand beach west of Puerto Plata, away from the hustle and bustle of Playa Dorada. With shallow waters, plenty of shade and amenities nearby like cafes and restaurant it is a family favourite for a beach vacation in northern coast of Dominican Republic. The Ocean World Adventure Park, Marina and Casino are right next door to the beach. 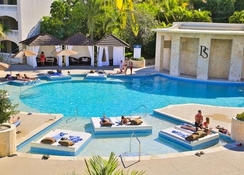 The Presidential Suites Puerto Plata by Lifestyle is 44km from Cabarete, while San Felipe de Puerto Plata is 7.4km away. The nearest airport is La Union Airport at 25.7km. There are good cafés, restaurants and a golf course in the vicinity. 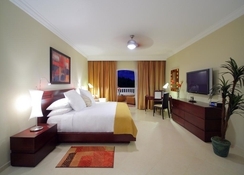 The Presidential Suites Puerto Plata by Lifestyle has One-Bedroom and Two-bedroom spacious and comfortable guestrooms in a dozen 9-storey buildings. 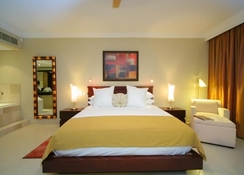 The air conditioned rooms, furnished with contemporary décor, are equipped with: living room and dining area with pull down Murphey bed, Flat screen satellite TVs; one or two private bedrooms with king or twin beds; with fully equipped kitchen with microwave, refrigerator, stove, coffee maker and blender. private bathrooms; coffee maker; iron and ironing board; radio-alarm clock; ceiling fans; direct dial telephone; cable TV; safe; large balcony or terrace; hair dryer; and jetted tub in each guestroom. 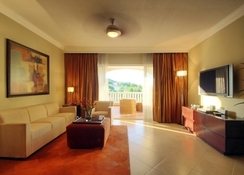 The Presidential Suites Puerto Plata serves a complimentary buffet breakfast each morning. For delectable a la carte dining, guests can choose from 11 restaurants and 12 bars, while a few of them require prior reservations. There is Rodizio Churrasqueria for Brazilian, Indochine – Asian and Casa Blanca - for international. Guests can also relax with a refreshing drink at the poolside/ beach bar. The hotel has a lovely outdoor pool and one for children decked up with sun chairs and parasols. Guests can learn scuba diving at the pool. For those who wish to be active during their holidays, there is also a state of the art gym. There are three tennis courts; and a full-press lighted basketball court. There are nightly entertainment programs and complimentary access to a golf course.